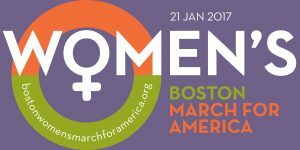 The Boston Women’s Heritage Trail board has unanimously endorsed the Jan. 21 Boston Women’s March for America (BWMFA). We urge our friends and supporters to attend the march. On Jan. 21, 2017, we will unite in Boston to march in solidarity with communities most affected by the hate, intolerance, & acts of violence being perpetrated throughout the nation – among many are communities of women, immigrants, people of color, people who identify as LGBTQIA and people with disabilities.We stand for religious freedom, human rights,climate justice, racial justice, economic justice, and reproductive justice. Together we will send a message to our leaders and the world that the USA stands for values of human decency, equal rights, and freedom from discrimination.